Wire Belt, a local company out of Londonderry NH, offers many styles of conveyor belts to suit specific applications and improve process efficiencies. They provide conveyor belts for industries such as Food Processing, Textiles, Electronics, Agriculture, Automotive, and more with fast and simple distribution around the world. When Elaine Lamarche and Robert Kraus of Wire Belt attended the Formax technology open house last summer, they were delighted with what they saw. 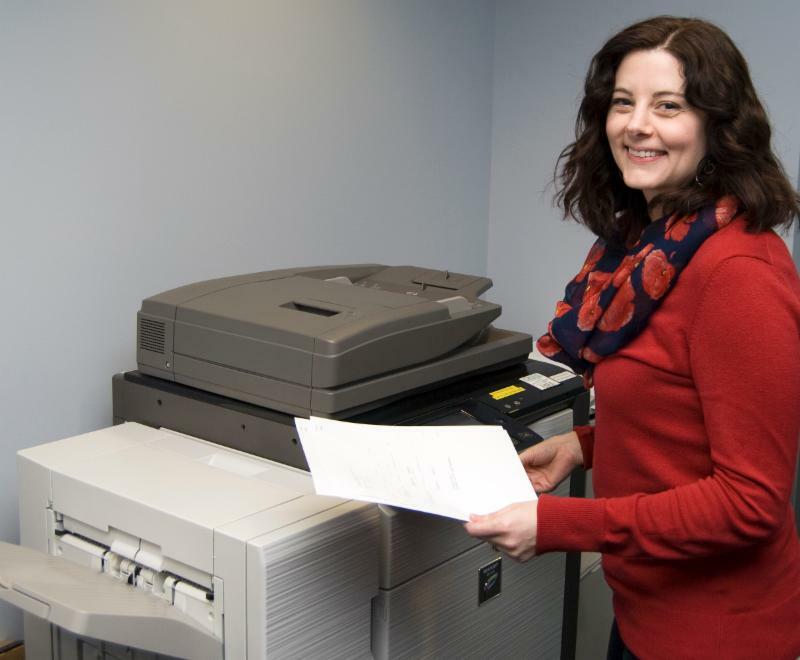 They had been searching for a new multi-functional copier that would accommodate their growing company's needs, including printing, scanning and document archiving. Having been pleased with the Formax mailing system they purchased 3 years ago and the customer service, they were excited to see what Formax had to offer for printing solutions. "We were looking at all the major manufacturers - Toshiba, Canon, Sharp and found that Formax had exactly what we needed," explained Robert Kraus, Systems Administrator at Wire Belt. "We were able to see and demo the Sharp products at the open house. Our deciding factor was the ease of use of the MX-4141N Multi-functional Printer (MFP)." With the MX-4141N advanced features plus multi-functional capabilities, Wire Belt is now able to streamline their workflow like never before. "Prior to Formax, it would take some users 3 to 4 steps to print or scan a document, whereas now, with the user-friendly touchscreen and programming capabilities, they can just walk up, push a button and off it goes," Kraus said. Wire Belt invested in the docSTAR application, which allows users to scan and intelligently file documents directly from their MFP. 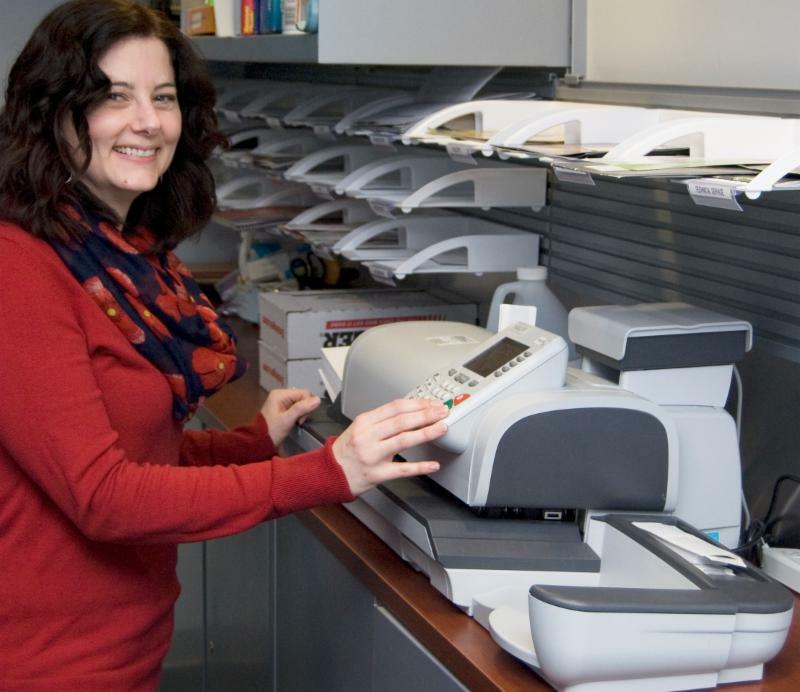 "Scanning is huge now," said Elaine Lamarche, Office Coordinator and Event Planner at Wire Belt. "Everybody says the scanning is so easy and functional." The one-step process provided by docSTAR's MFP-Link and Sharp Open Systems Architecture (OSA) assures high productivity levels with documents not collecting in users' inboxes waiting to be filed. Wire Belt has also brought in a 70" Aquos Board to assist with meetings and trainings. "We have the Aquos Board set up on our network and it's mobile so we can wheel it around to different rooms," Kraus explained. Sharp's AQUOS BOARD™ PN-L703B is designed for smooth and effortless communication in a wide range of contexts, and Sharp's Touch Display Link software enables multifaceted wireless communication. The customer service that Wire Belt had been receiving from their previous vendor was inadequate. Since switching to Formax they have been extremely happy. "We hear from Dan, our Sales Rep, all the time," Lamarche said. "It's refreshing that he has stood by his sale and didn't up and leave us to figure it out on our own. If we have any questions we can call Dan or Service Support and get an answer right away." Wire Belt has also been thrilled with the service Formax provides. "I did a service request online and the technician called me back 5 minutes later," Lamarche smiled. "It was nice to be able to talk to a person, unlike a big corporation where you can't speak to anyone." With exceptional machine operability and superb customer service, Wire Belt has brought their office productivity to the next level with Formax and the digital print and mailing solutions they provided.